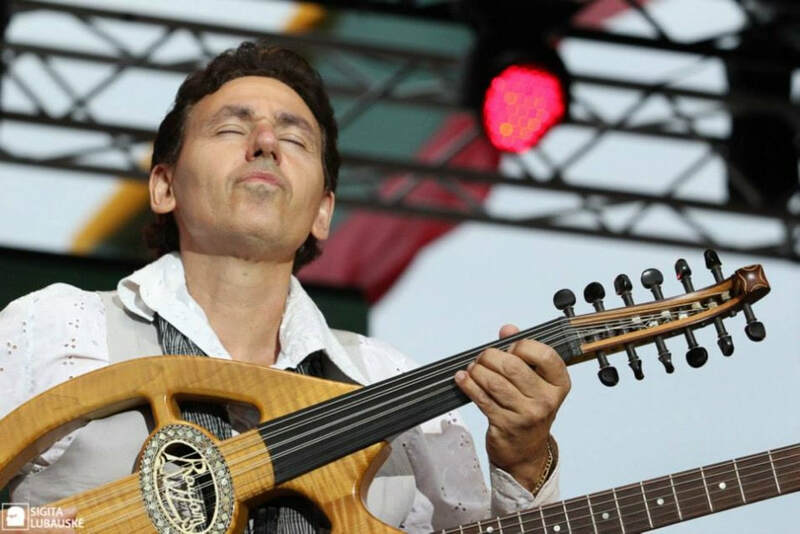 Tunisian born fusion lute/guitarist Nabil Khemir, has spent a lifetime crafting his artistic skills and musical vision. Growing up in the metropolis of Tunis, Nabil Khemir was captivated by the enchanting sounds of North African Egyptian music and its rich cultural heritage. This inspirational and aural excitement propelled Nabil Khemir to yearn for a unique musical instrument and voice. On his ninth birthday Nabil got his wish, receiving a musical lute to explore the shapes and sounds that this young boy was hearing. 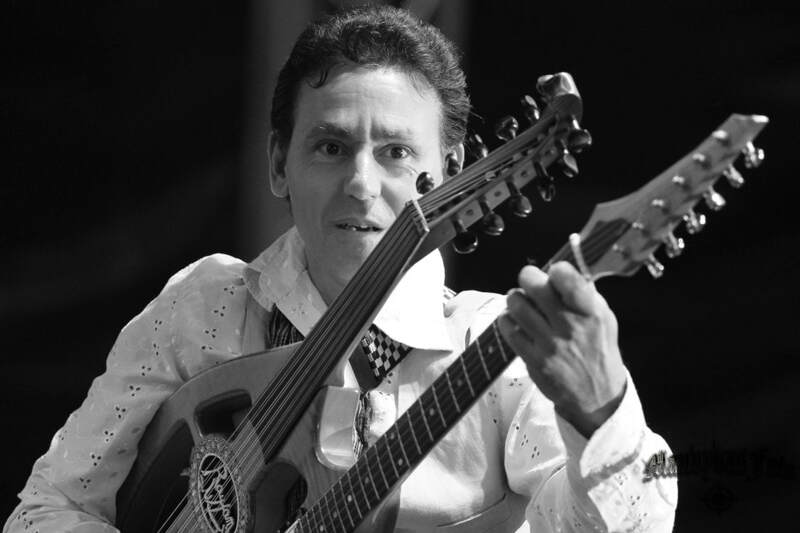 Quickly adapting to this majestic instrument, this child prodigy begin playing pubic performances, thus continuing to show great musical promise. 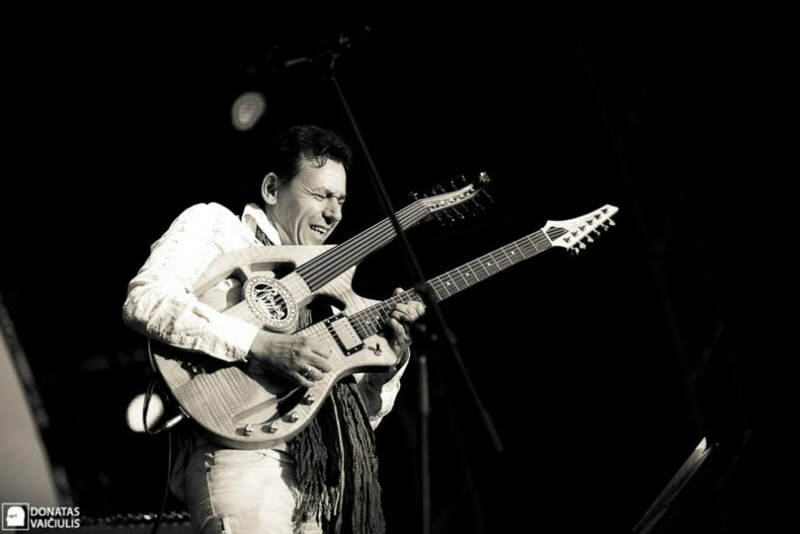 Not one to waste time, Nabil continued to practice and learn on his own, as well as from the great recordings of Western jazzmen such as George Benson; John McLaughlin; John Coltrane and Pat Methany to name a few. 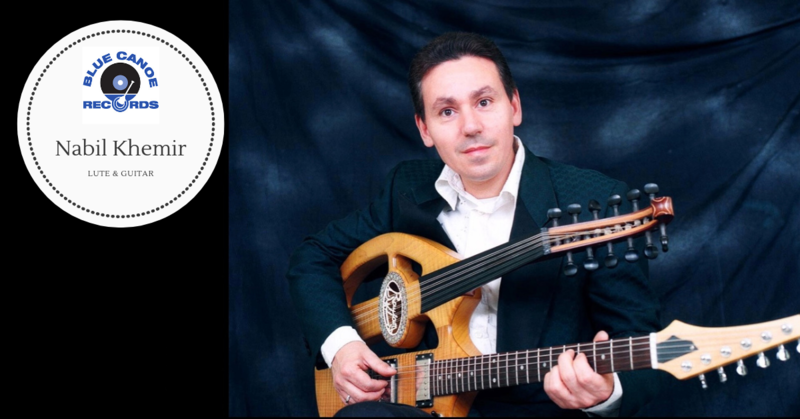 In addition to learning from his favorite recording's, Nabil took his educational wishes a step further when he sought out the famous lute player Ali Sriti for several private master classes. 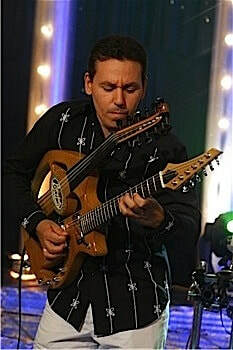 In 2004, Nabil decided to create a hybrid instrument which would allow him to share his true musical voice and vision that he was hearing deep within his soul. 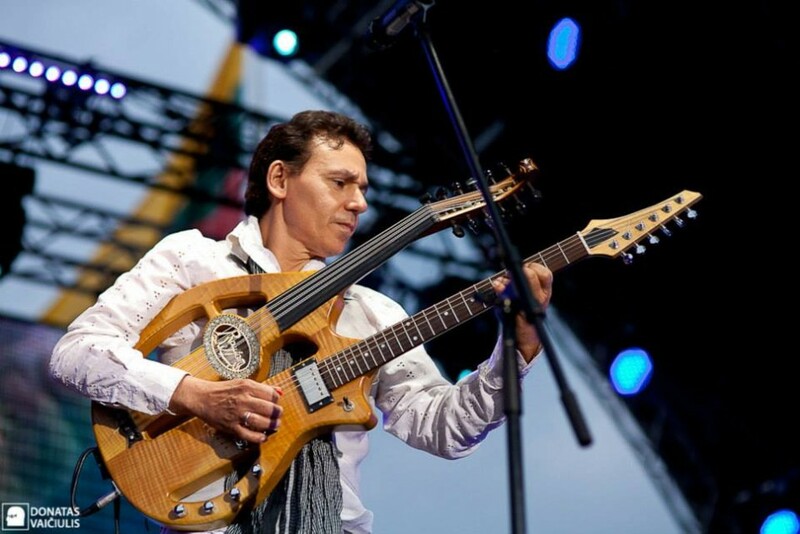 So after several years of research and development, Nabil's artistic vision paid off when he completed his one of a kind double neck lute/guitar instrument which he aptly named, "RayJam". 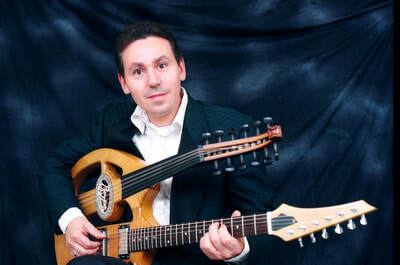 This unique instrument, allows Nabil Khemir to explore and share his musical playfulness by having an electric lute and electric guitar within grasp at a moments notice. Not to go unnoticed, Nabil Khemir was recognized and decorated with honors by the President of the Republic of Tunisia for his cultural contribution to the country and its cultural heritage for his artistic vision in June of 2007. 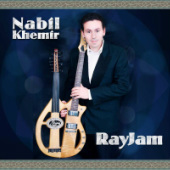 Nabil Khemir and his custom instrument "RayJam". 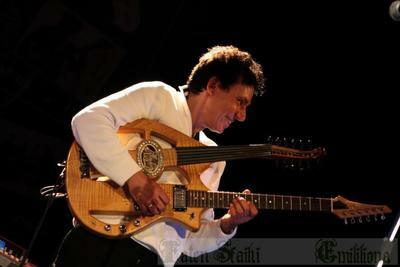 Nabil Khemir Live Klaipeda. Photo courtesy of Donatas Vaiciulis. Nabil Khemir Live in Egypt. Nabil Khemir live at the International Festival of Carthage. 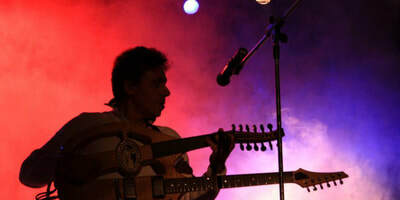 Nabil Khemir Live at Klaipeda. Photo courtesy of Sigita Lubauske.